As technology continues to advance and users demand rising levels of capabilities, data centers will have to progress as well to support these needs. 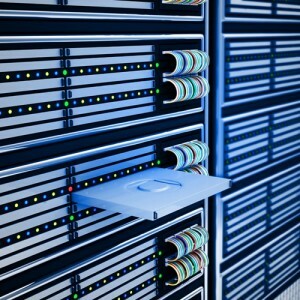 There is no doubt that today’s data centers are more innovative than ever before, however, as facilities continue their march into the future, they will likely take advantage of emerging trends – some of which are beginning to be implemented in current structures, others have yet to be seen within the computing industry. So what will the data center of tomorrow look like? Experts have weighed in and predicted that some practices will remain in place and develop with the facility and some techniques will be replaced by emerging technologies and new systems. One approach that will likely advance is data center sustainability. Network Computing pointed out that today’s data center operators are utilizing wind power and wastewater for electricity and cooling. Furthermore, organizations like Facebook, Microsoft and the NSA are taking part in data center sustainability efforts, illustrating an overarching trend of working to reduce the carbon footprint of a facility. A recent IDC survey found that lowering energy use is the number one priority for data center operators currently, and this approach will continue into the coming years. As this sustainability trend continues, facilities will become increasingly dense and efficient to make the most out of available resources and provide optimal services. However, as facilities become increasingly advanced and automated, the manpower behind these structures will shrink. Microscope’s Nick Booth pointed out that these efficiencies will initially be made possible by humans as individuals establish and deploy new systems. However, as these technologies boost the productivity of the data center, the facility will need less and less human oversight. It could be possible that the data center of the future is completely automated and self healing, and may need no human interaction at all. As many data center tax incentives require that operators create new job opportunities to qualify for benefits, this shift may have an impact on such offerings. Current benefits being offered may have to be redrafted to take info account the reduced participation of a workforce, and new requirements may appear instead. Aftab Jamil of the Technology and Life Sciences Practice noted that users will require rising levels of storage space as more programs and information is stored in Web-based environments. In order to respond to these needs, data center operators will have to “push the boundaries of tangible capacity” and ensure that resources are available. This may translate into increasing use of cloud computing. “This shift could also drive pace of innovation and M&A activity in the tech industry as more hardware companies engage with software/cloud computing companies to meet data storage demands that incorporate both cloud and physical storage capabilities,” Jamil said.